I love a good cookie recipe. Classics like chocolate chip, peanut butter and ginger are my usual go-to’s when I feel like getting my bake on but this time ’round I wanted to try something new. I have a ton of Black Lavender tea from when we visited Teafarm a few weeks back so I decided to use some of it for my spring-inspired Lavender Shortbread! Happy Easter (and April!) readers! 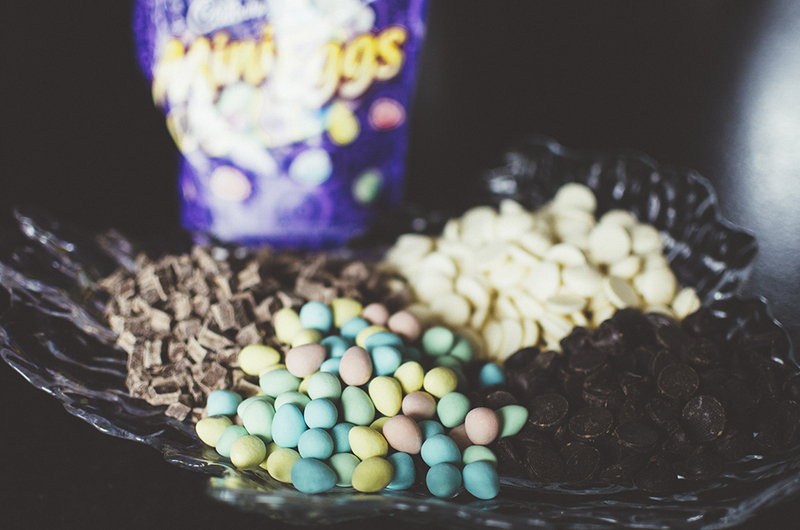 In honour of eat all the chocolate day Easter, I’ve decided to whip up a festive recipe using one of mankind’s greatest creations: Cadbury Mini Eggs. I was rifling through an old journal/notebook/art book (?) and I came across an old stew recipe from a few year ago. For me, a great stew has to be chunky, hearty, and filling. IMO, this recipe fits my stew ideals to a tee.